* This Top Selling Gold Wedding or Prom Comb is 3 1/4" h x 3" w with glistening inlaid crystal vines & hand wired crystal beaded blossoms. * Mariell's rounded hair comb can be worn alone or paired with another for a dramatic bridal "statement" headpiece. 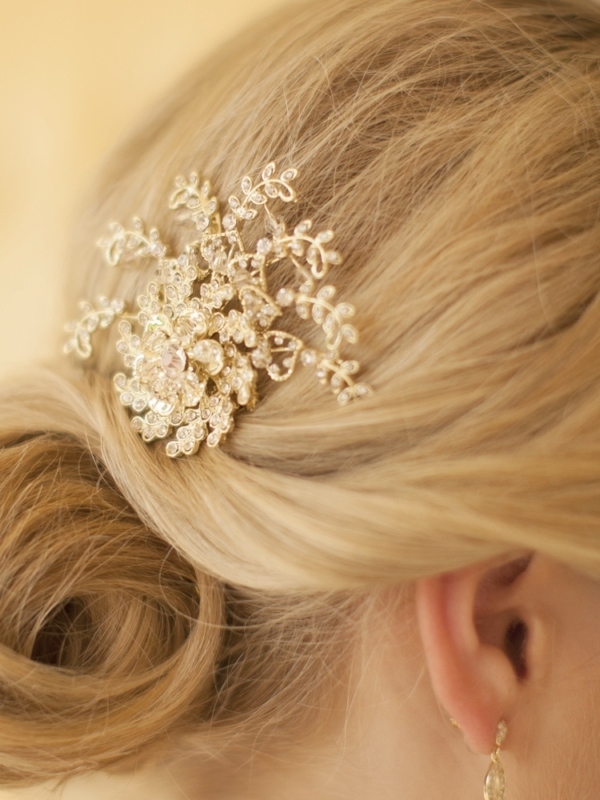 * Mariell's top selling Bridal Hair Comb has a unique circular shape with sprays of flowing crystal branches. 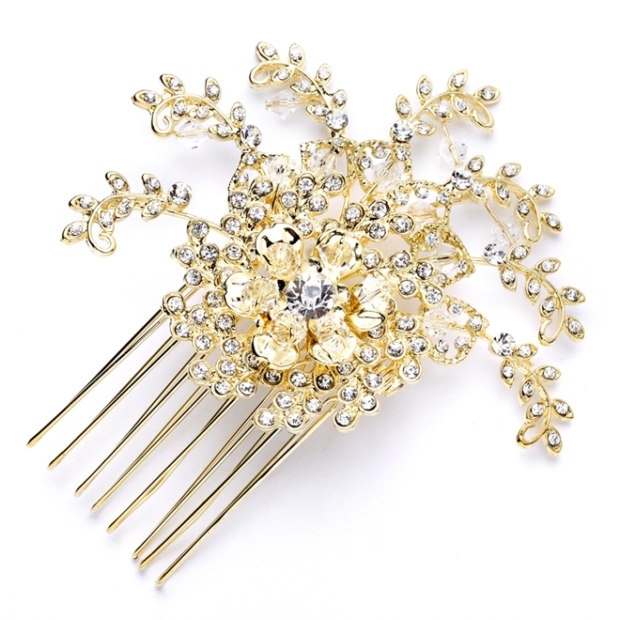 * This gorgeous Wedding Comb is plated in a warm Gold tone. * Our stunning wholesale hair comb is also offered in Silver Rhodium plating as style 4028HC-S.
* In both Silver and Gold, these attractively priced popular combs are a must-have for Bridal Retailers and Stockists. * Keep these beautiful combs on hand as an essential part of any headpiece collection!